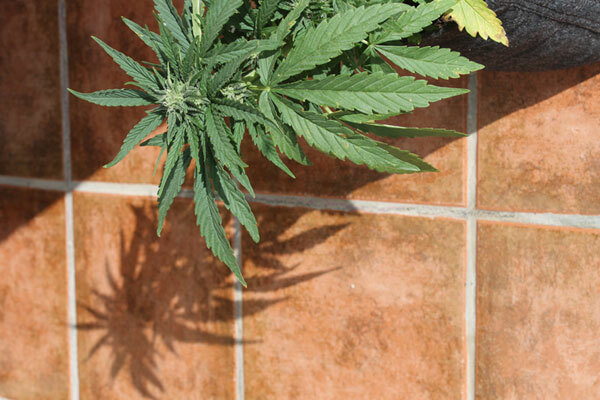 Here’s how a busy London housewife with no previous growing experience grew over 3 ounces of premium cannabis in her back garden. Carmella is a 42 year old mother that works a busy events job in town and leads a hectic social life. She loves a smoke but finds much London weed too strong, expensive and random, with dealers not always being the most reliable of people. Carmella got in touch and a few emails later she began to grow. After an investment of 75 days and £45 she was looking at 3 ounces of fragrant top quality bud which would have cost her £750. People at Glastonbury bothered her for it. Using these step by step instructions you, like Carmella can grow amazing weed in your garden with ease. Autoflowers have come on in leaps and bounds and over 5 years of development has delivered some outstanding varieties – so much so that some people only grow autos. Times have changed and now a total beginner can grow outstanding cannabis with little effort by following these simple steps. Autoflowering cannabis or ‘Autos’ don’t require any special light conditions, they just flower a certain number of days following germination, regardless of light changes and normally in 70-80 days. Autos need as much sun as you can give to them. Choose your growing space wisely. Remember it is quite normal for people to use poly tunnels and coverings for plants anyway – if you are worried about the appearance of the plants from a distance you can mix them up with other plants, or covering them with a mesh cage or semi transparent cover of some sort can also help to make plant identification difficult from a distance. Watch the area at different times and try to find somewhere that gets plenty of morning light if possible – the more the better. And bear in mind that the sun will get higher in the sky as summer goes on change the direction of light slightly. If you have pets you may need to restrict access to the plants, cats have been known to trash seedlings by digging into soil and dogs can be clumsy with their tails. In the UK I would recommend starting your grow in late May or June. I knew that Carmella wanted something with an uplifting (not sleepy) effect that was easy to grow so this was a simple choice for her. The Magnum from Buddha Seeds. I have come across other excellent autoflowering plants on my travels however so also include here ones that I would definitely grow again, which I know yield well. There are a huge choices of autoflowering seeds on the market – it all depends what kind of effect you’re looking for as to what you grow – but some autos are in a different league. Here are some recommendations based on my experience. 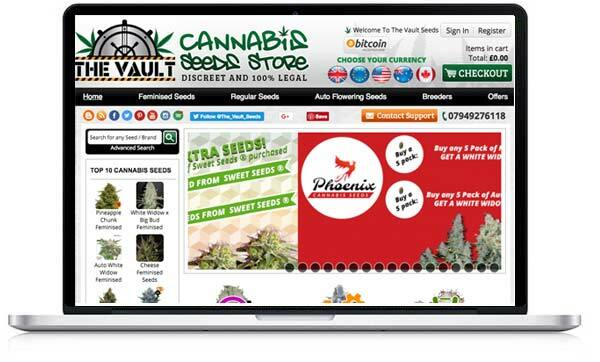 (I link to a seed shop called The Vault, where appropriate) which I can confirm are reliable and discreet UK seed bank you can rely on. I have personally used them many times without problem. Also good are Seed Supreme. 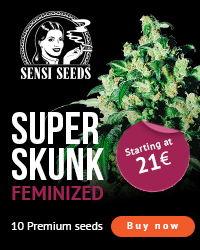 You should also check out Sensi Seed’s new autos. From Buddha Seeds. This has not disappointed anybody I know and is often found in my garden. It’s a wonderfully reliable plant with an energising creative buzz that will have you tidying up or going for a walk with joyous happiness. It is also a strong effect – you get so wrapped up in what you are doing that time does pass before you realise you could perhaps have some more of that lovely stuff! So this is really good value and easy to get 1-2 ounces from one plant. Easy to grow and not a heavy feeding plant. Loves the molasses I found. Also not particularly smelly, except sometimes in drying. A real gem. This is what Carmella grew and loved. More info. Dinafem lead the autoflowering market in many ways – their latest Cheese XXL is an exemplary plant. 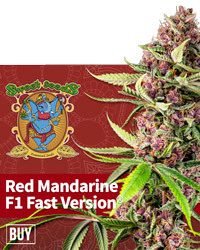 A really good yielder for an auto and the weed itself is excellent. Many really very large flowers in 70-80 days. If you’re after something a bit stronger you can’t go wrong with this. Great for beginners, will not disappoint you. Jack 47 is really something extraordinary when it comes to yield and speed. The reason to grow this plant is for its very large production. This plant made quite an impression and was filed under extreme stealth with fantastic high. It does not get big it’s a very squat plant but that might be just what you need. Felt or fabric pots are great I like to use 60litre dirt pots. Anything more is overkill and even this may be a bit much for an auto – some might say. I like the results. You could get away with less. 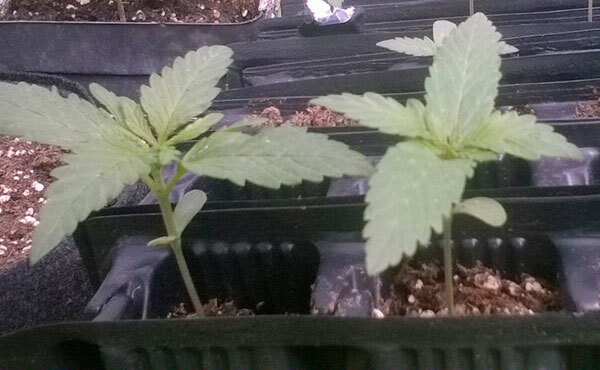 Using felt pots gives you the best possible plant by preventing root circling and allowing good drainage of the soil which is essential for growing any cannabis. Many people have good results with the taller airpots – it depends on your local climate to some extent but I prefer the smart pot type pot. When using felt pots I tend to put them on top of something for drainage and so that the roots are not in direct contact with a concrete floor, where the plant will lose heat into the concrete. Autoflowering plants don’t need huge amounts of feeding – but they can be fed and some need more feeding than others. If you buy decent quality potting soil that will get you a fair way along the plant’s growth cycle and in some autos cases will be all they need. Fill your pots up with your chosen soil but do not pack it down. 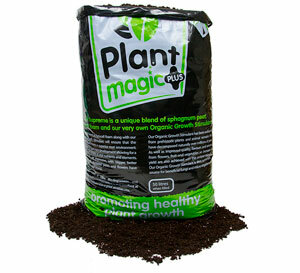 Plant Magic soil is highly recommended in the UK as well as Biobizz Allmix and John Innes No 2. In the US Roots Organic is very well regarded. I also like to add around 25% perlite to my soil. Please bear in mind that perlite can be very difficult to work with, and the dust it produces is poisonous to humans. Be really careful when you wrinse the stuff out, which is essential before mixing it well into your soil. This provides extra air and drainage to the soil. Some auto breeders (Dinafem) also recommend adding 30% coco to your mix, which also adds an extra something to the soil, but is certainly not essential. Some make a bid deal about planting seeds, I like to go for the simple, ‘like in nature’ method. Having totally drenched my soil and let it drain for a while I just throw my seed onto the soil. I then make a small hole 5-6mm deep next to the seed with some kind of small pokey thing (like a match or small twig) and gently push the seed into the hole with the match. Carefully cover the hole and then leave, making sure birds or other animals can’t access the planting area. Give the area where the seed is a good spray with water every other day. That is all you need to do to get things going. For protection you can rig up a piece of mesh or a small plastic cup. Birds tend to lose interest after the plants first couple of weeks growth but rabbits can also be a pest. After 4 – 7 days you should see life poking through. You can then start watering VERY gently every other day but never directly onto the new seedling, let its area get wet by watering around it so you aren’t dumping loads of water directly on top of the new plant. Autos don’t generally like repotting so should always be started in their final container. At least this is the way I used to do it and would still recommend it for people wanting a simple method. Now I tend to use ‘root trainers’ shown above. Using these you can let the plant grow for the first 3/4 weeks in the root trainer and then easily replant it once it has grown a substantial root mass. The root trainers force the plant to send out extra roots as they have a hole in the bottom, this makes the plant grow a more robust root system. Adding in some mycorrhizal fungi directly to the roots having sprayed them with water during replanting can give the plant a massive boost leading to a much healthier root system. Also put some of the fungi in the potting hole so that the roots grow into it. Step 6 – Water your plants – carefully and not too often. Seeds need a lot of water in their very first few days of life but after that the soil needs to go through the cycle of drying out a bit before you water it again. Don’t water every day. Try to get a feel for when the plant needs watering again yourself. If you carefully pick up the pot and it feels noticeable lighter then it is time for you to add some water. If the plant is visibly wilting it needs water. Don’t go crazy with the water at the beginning. While the plant has a smaller root structure its easier to overwhelm it with water, but once the plant is 3-4 weeks old you can really drench the whole pot without any worry. Be aware your watering can make a hole in the soil. Covering the top of the soil with rocks or small stones can allow you to be a little less careful with your watering once the plant is established. Feed autos nothing but pure water for the first 2 weeks. Always. If you can leave your water out in the open air to stand for a day or two first, all the better. After this 2 weeks you can carry on with no extras without problems – however I like to add molasses once a week (half a table spoon of black strap molasses dissolved in a cup of boiling water then added to the water in your watering can) see picture. This feeds the micoorganisms in the soil and contains many elements sold in expensive nutrients. It is also completely organic. If you want to grow more demanding strains (like Girl Scout Cookies for example) then you are going to need to have some kind of food. I can recommend biotabs in your soil. A really simple organic solution to feeding. I prefer to put these into soil once the auto has actually reached two weeks old and has some leaf and root structure to avoid any over feeding early on. If you are using relatively small pots then you can get away with using just one biotab per auto. Put them in the soil at least 6 inches away from the plant after 2 weeks and all should be well. I always have some fish mix on hand in case of problems (it sorts out most issues you could have growing organically though is a bit smelly – just add 5ml to 6 litres of water). The smell goes away quickly. Fish mix really is great stuff, cannabis plants love it. You don’t normally need it more than 3/4 times on one auto grow. It contains instantly available foods for the plant and also helps to feed the soil. Be aware of where the water goes that drains from your pots. Do not rush this. 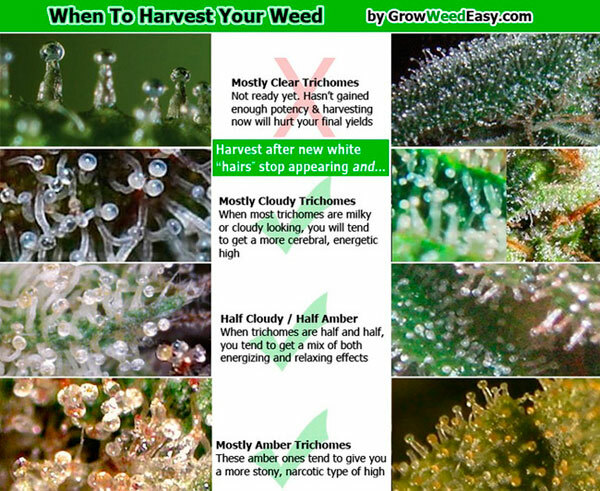 Here’s a chart showing the correct time to harvest. This picture shows when the bud is ripe. We see more brown pistils on the flower and a close up view through a microscope will reveal ripe pistils. The bud should have stopped getting any bigger as well as looking like the real thing. Use some sturdy clippers and make the cut fast. Trimming is what it says – simply taking off all the excess leaf from around the plant that you don’t need. I like to use a big pair of scissors but other tools are available. Go as close to the bud as you can with the blades but take care not chop off the bud itself. Take your time it’s easy to cut yourself doing this. You can save the leaves which can be eaten directly or used in edibles. Some of them will have crystals on from the bud so they do have some value, although autos don’t tend to produce huge amounts of leaves. Now hang your plants somewhere in the darkness where there is at least limited air circulation from time to time. Leave them for 5 days. Curing cannabis correctly is an art and can be quite scary if you get it wrong. Infact, if you get it wrong all your weed can get hit with mould, which puts a lot of people off doing it properly. It makes a big difference to the final product though. Harvest the plants, and hang them in a dark room with a little airflow until they are dry. To test for being ‘dry’ you need to locate a thin branch, one which is just a few millimetres thick, and try to snap it. Once you can properly snap a thin twig, not just bend it, then it is time to remove the buds from the plants and then for the weed to go into glass jars. Don’t rush this, make sure you can do a proper ‘snap’ or the weed may be too wet to start the curing process and could go mouldy! 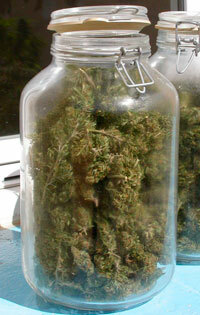 Seal the weed in glass jars, then once a day open the jar for 10-15 minutes or so, enough for the weed to breath. Move it around and ensure all buds get exposed to some air. You should smell some pleasant terpenes at this stage as the weed is reaching its perfect stage. For the first week in jars do this two or three times a day. This is when the weed will be at its wettest. After the first week you can go down to one burp a day. Keep ‘burping’ the jars for 2-3 weeks or until the weed seems dried without being powdery and then you can properly seal them for a year or two or start smoking it! If your plants get hit by heavy rain during flowering (not early flowering but later once bud has formed) then it is a good idea to gently shake the plant out a bit after the rain has stopped to get the moisture out the buds, to avoid mold. Shake it from side to side as much as you can without harming it. If you found Carmella’s case study inspiring, I’d really appreciate if you would share her story on Facebook. I hope this guide helps you out. I’d also love to hear from you: do you have any top autoflowering tips? Leave a comment and let me know yours. 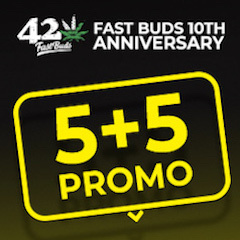 Previous post: Where can I buy cannabis seeds online for the UK?